Rest days are great - on shorter long distance paths we are not great fans of having them as they disrupt the rhythm. However on a walk the length of the SWCP then they are a must. Great chance to rest up, sort out washing and personnel admin plus, as was the case today - meet up with old friends. 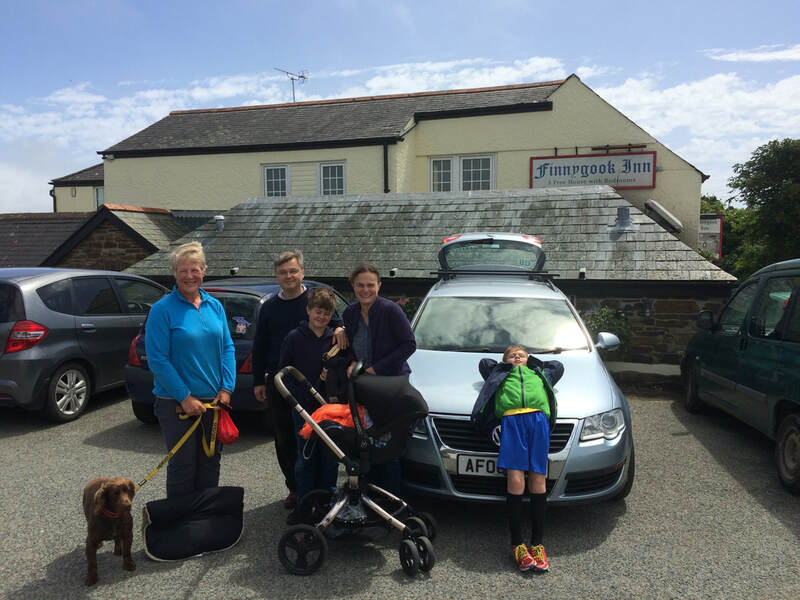 We had morning coffee with Lou, Mark and their children who very kindly took a bag of kit over to our Plymouth B&B for us - another lighter rucksack day is always a bonus. After saying goodbye we had a late Sunday Lunch in the pub and sitting opposite us was a Navy pal of Dave's, Steve Pugh who he had not seen for at least 20 years. Spent a nice relaxing evening sorting out kit ready for the walk over to Plymouth tomorrow.